Regarding the geography of Peru, Peru lies on the central western coast of South America with the Pacific Ocean to its west. It shares borders with Ecuador and Colombia to the north, Brazil and Bolivia to the east and Chile to the south. It is the third largest country in South America after Brazil and Argentina and it ranks amongst the 20 largest countries in the world. Peru is a diverse country geographically and has 11 ecological regions. It has rugged mountains, snow-capped peaks, an arid coastline, rivers and vast tracts of rainforest. The country is split into three distinct geographical areas, each region being starkly different with different ecosystems and climates. These geographical regions are the coast, the highlands and the Amazon Rainforest. 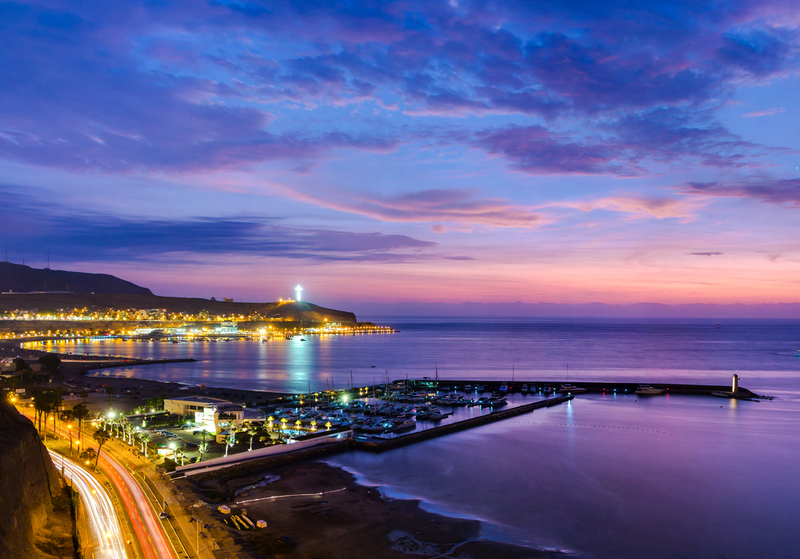 The coastal area on the western side of the country includes Lima, Peru’s capital and other major cities such as Trujillo. It accounts for 11% of the area of the country and stretches from Ecuador to Chile. It is a narrow strip of desert that extends over 2,500 kilometres in length. It is characterised by narrow bands of arid to semi-arid desert, rocky coastline, beaches and fertile valleys alongside the Pacific Ocean. The fertile valleys are fed by rivers that flow down from the Andes Mountains and into the Pacific Ocean. The coastal desert was first inhabited thousands of years ago by the Chimu and the Nazca people. Desert regions include the Nazca Desert in southern Peru and the Sechura Desert to the north of the country. The highlands or sierra is the inland mountainous region of Peru that accounts for around 40% of the country. Its landscape is dominated by the Andes Mountain Range that runs through the middle of the country from north to south, made up of two distinct mountain ranges – the Cordillera Occidental and the Cordillera Oriental – the backbone of South America. Not only is this the second highest mountain range in the world with 37 peaks over 6,000 metres but it is also the longest continental mountain range in the world , extending for 7,000 kilometres through not only Peru but also extending through Venezuela, Colombia, Ecuador, Bolivia, Chile and Argentina. 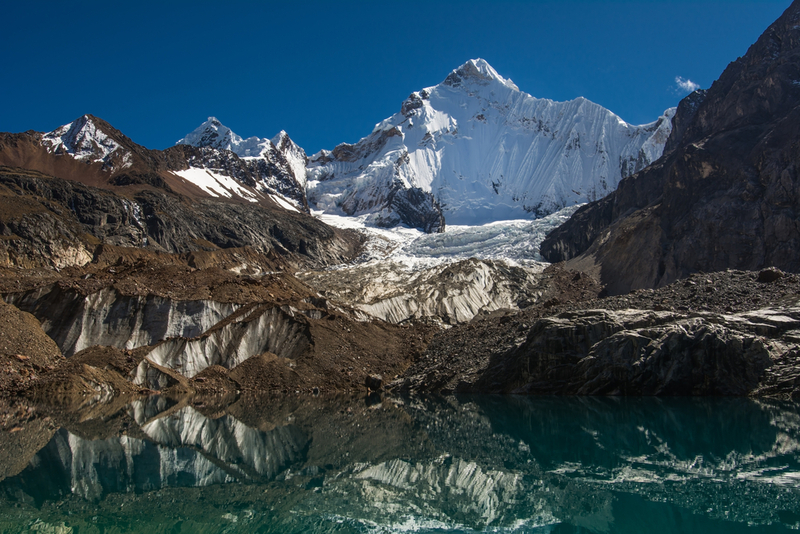 The central Andes are the tallest and steepest part of the mountain range, home to Mount Huascarán, at 6,768 metres above sea level, Peru’s highest peak. The southern Andes are also known as the altiplano or high plateau. The northern Andes are the lowest part of this region. This vast and relatively flat region of plains in the Amazon River Basin is located in the east of the country. It is covered by an endless expanse of tropical rainforest consisting of both highland and lowland jungle. 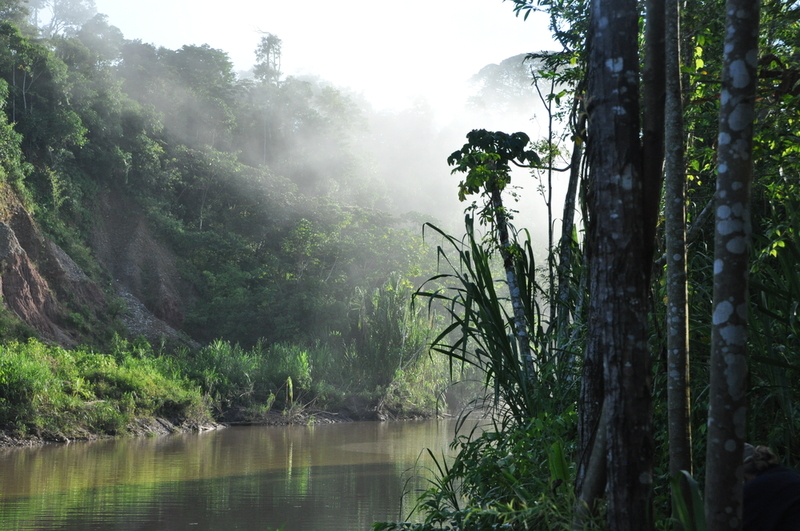 The region begins at the confluence of the Ucayali and Maranon Rivers and is Peru’s largest region, accounting for around 60% of Peru’s national territory. It includes the mighty Amazon River and countless other rivers, streams and tributaries. The western edge of the Amazon is shared with Colombia, Ecuador and Brazil and forms part of what is probably the most biodiverse region on Earth. Whether you are looking for archaeology, culture, wildlife or adventure, Chimu Adventures can put together a tour of Peru to suit you. Click here to scour our range of fantastic tours and let us take you to South America! Contact us now.